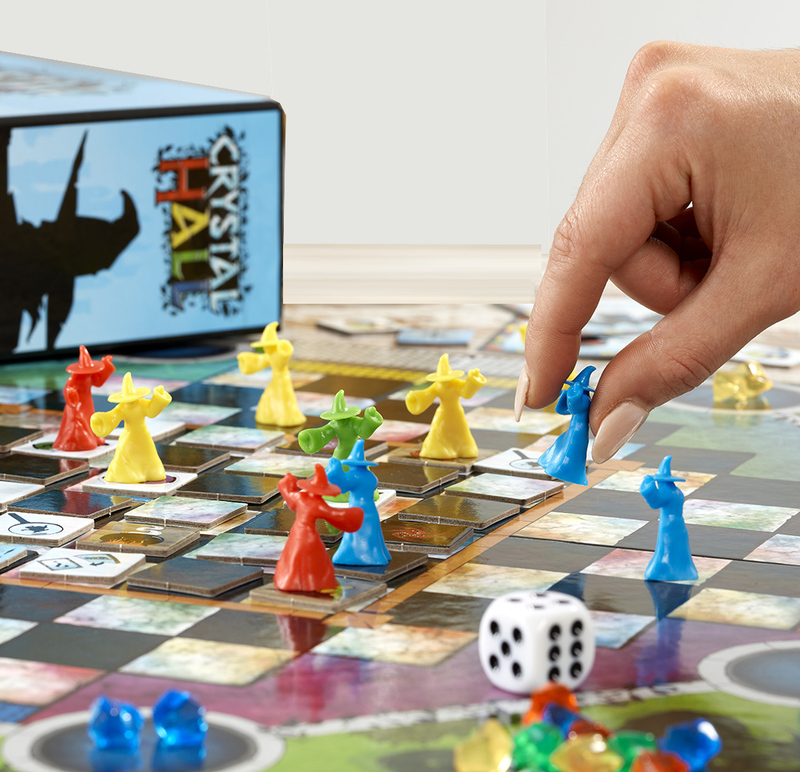 Crystal Hall is the magical strategy game that encourages players to lead their wizard-shaped counters around the hall in a quest to uncover the four magical crystals that are hidden among the 36 face-down tiles. 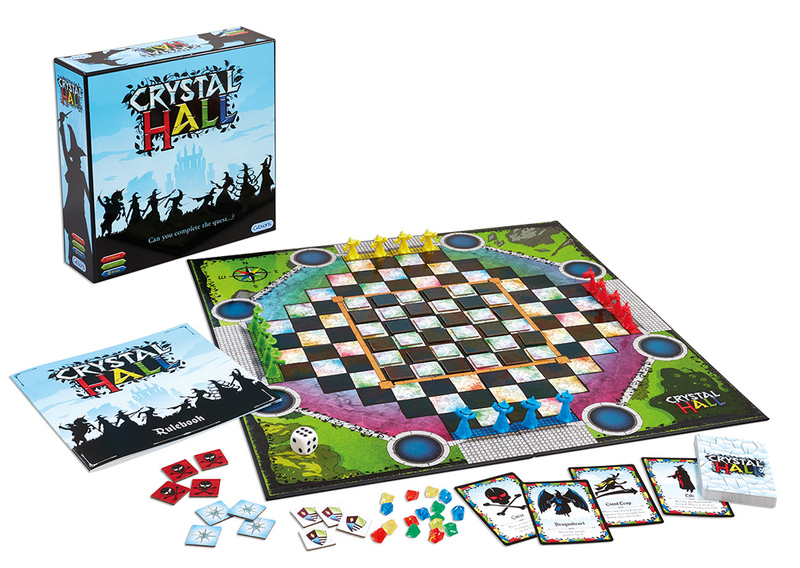 The first player to visit each of these tiles and extract the crystals is the winner. 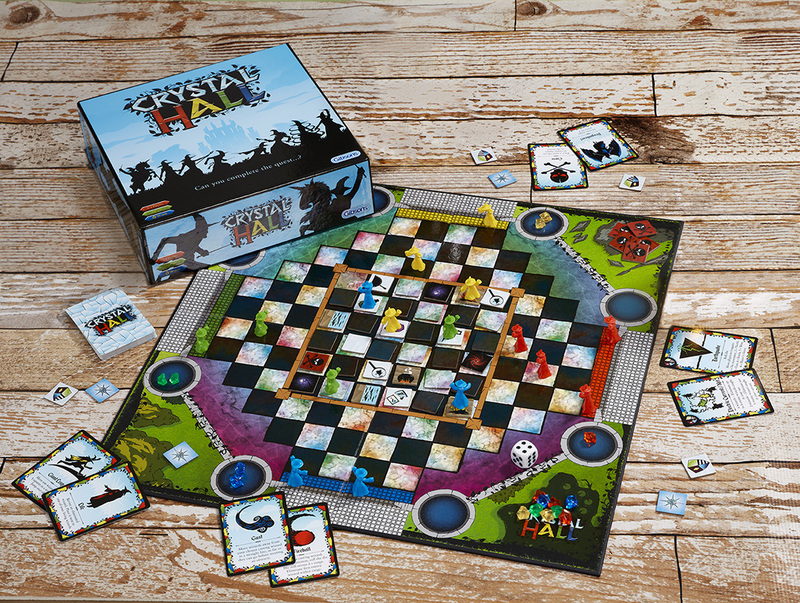 However, there’s a twist, as there are more than just crystals under the tiles…cauldrons, potions, curses, even enchanted swamps await each player. 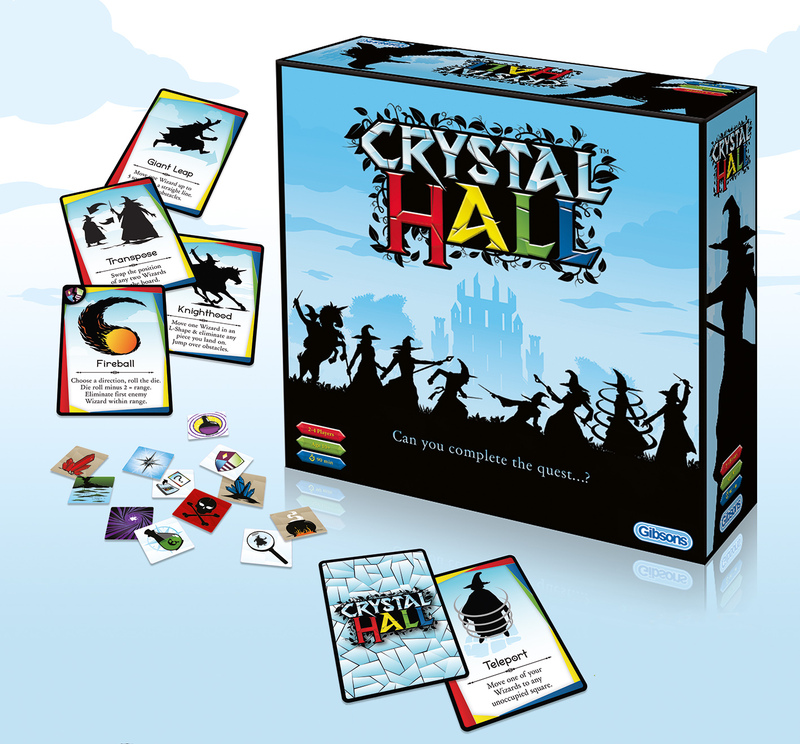 And the other twist is that as witches and wizards, each player has lots of disruptive spells up their sleeves that can be used to ensure that they are first to get their hands on the mystical crystals of power…do you have what it takes to be the most powerful wizard in the Crystal Hall? 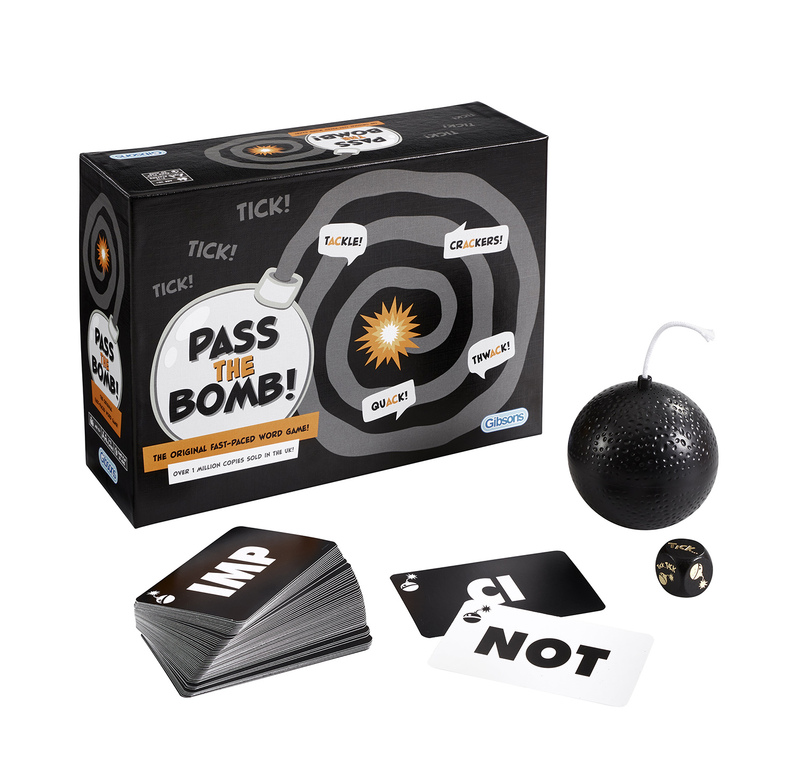 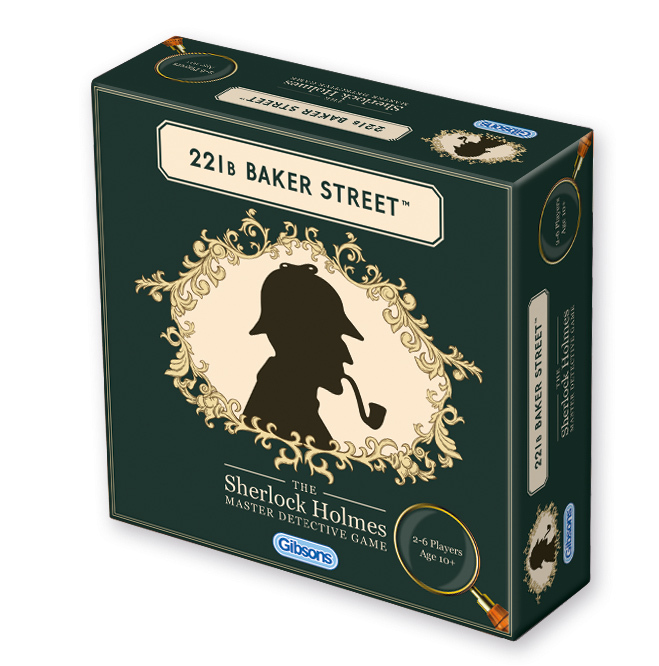 The game was developed by a group of four friends, John, Ben, Luke and Maren, who were mentored by the renowned inventor of Hare & Tortoise and Chicken Out, David Parlett.